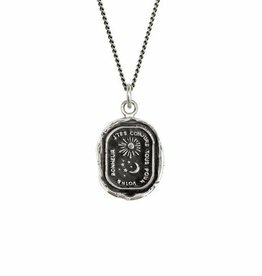 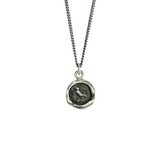 Home / Pyrrha Nesting 18"
The sparrow featured on this talisman is symbolic of one who is fastidious and productive. 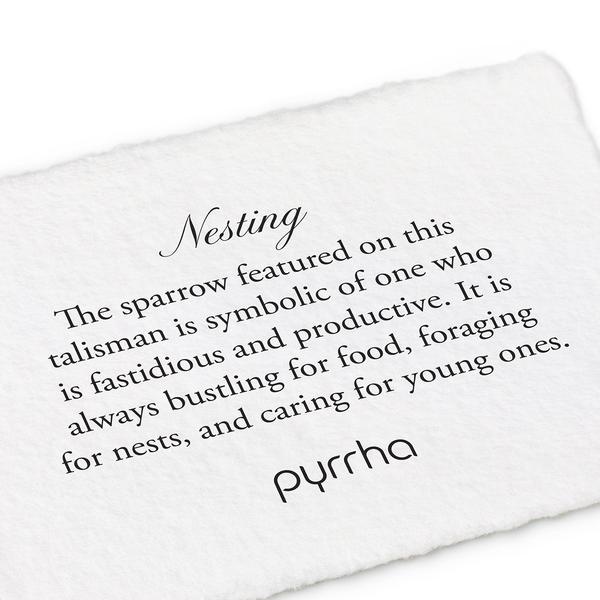 It is always bustling for food, foraging for nests, and caring for young ones. 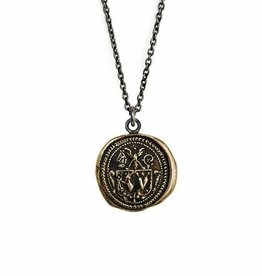 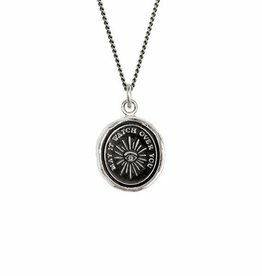 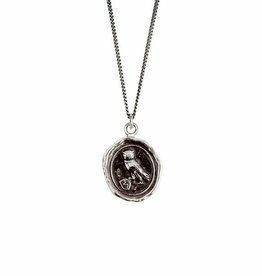 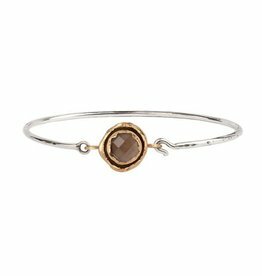 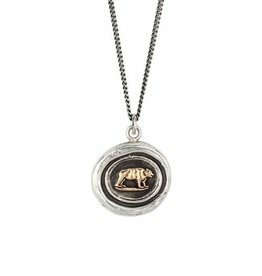 Pyrrha 14k Gold on Silver Mother Bear- 18"